Bored with your smartphone, which is the same as everybody else's. Well, why not get it in gold? Goldgenie has been known of turning iPhones, iPads, and iPad minis into gold. 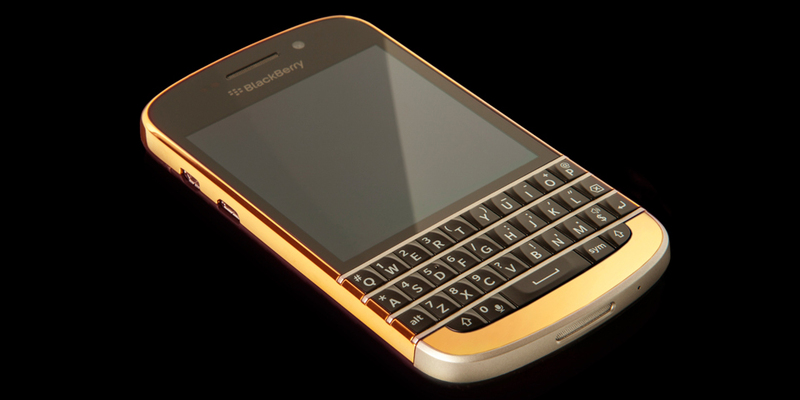 This time, it has covered the recently released BlackBerry Q10 in 24K gold. 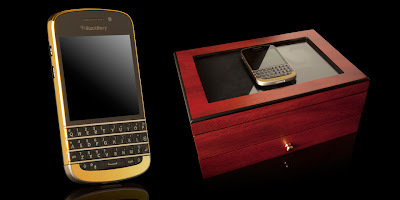 The BlackBerry Q10 has a 24K gold-plated bezel and a 24K gold panel below the QWERTY keyboard. All other specs of the phone remain the same, except that the packaging has been upgraded to a snazzy wooden box. And it’s heavier, but Goldgenie gives no concrete numbers about that. You can order the gilded Q10 in Black or White and it will cost you £1597.00 ($2480, €1885). And don’t worry if you already bought a Q10 – you can send it in to get the Midas touch treatment. There’s no golden Z10 though, which is strange considering that’s BlackBerry’s high-end model. Interested? Click on this link.